Drama in the Dale have been working on their production of Shakespeare’s As You Like It. Rehearsals have gone well despite some changes to the actors. 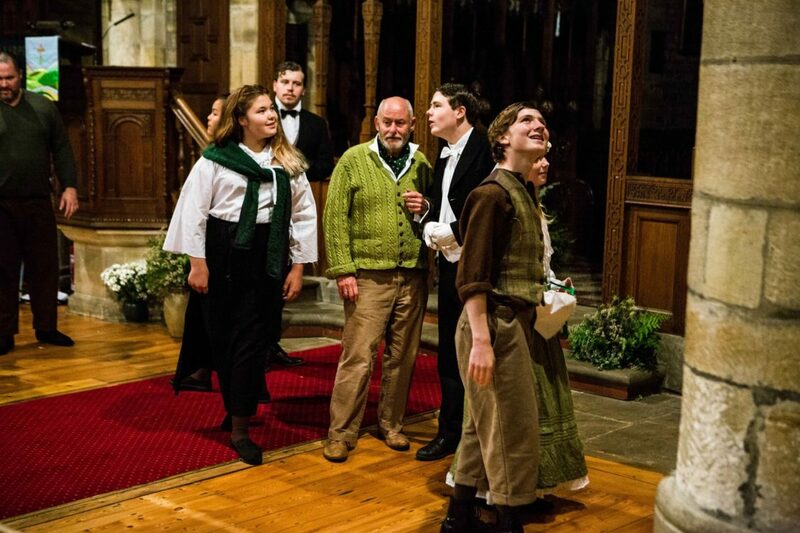 Much of the time they have been rehearsing on site in and around the Dales Centre in Stanhope and St Thomas’ Church. Their music has been specially written and the small group of instrumentalists have started working on the score. Liz Gill said ‘We have a fantastic team of costume makers who have created wonderful 1920s outfits complete with hats and coats. One of our actors is a trained dancer and has choreographed a section for the last scene, this has proved great fun amongst the cast and has certainly brought out those reluctant dancers amongst them’.